Quality and Dodge go hand-in-hand, and when you're looking for a Dodge Grand Caravan for sale there's no better option for starting and finishing your search than working with the team at Leamington Chrysler. Our inventory is definitely one of our draws, as are our fantastic departments and amazing team of professionals. The Grand Caravan's 30+ years of being at the top of the minivan segment in Canada is where we'll start our praise for this fantastic vehicle. But it's not where we're going to end. 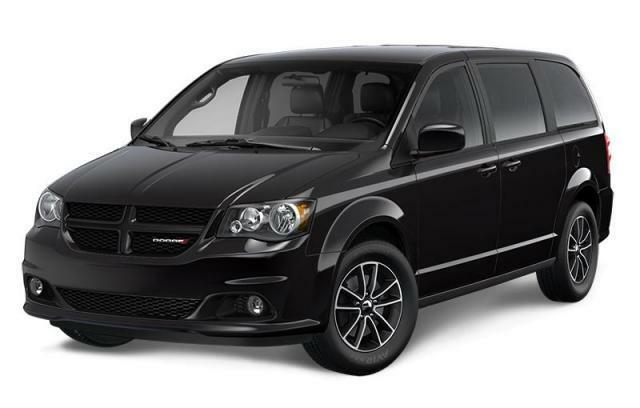 The Grand Caravan's 3.6-Litre Pentastar VVT V6 engine is yet another reason to choose to drive this spacious minivan. With best-in-class towing and advanced interior features that include the available Stow 'n Go seating and cargo space, you're going to be driving with a sense of class and credibility that aims to make your life on the road better. Find out more at our store and let the team at Leamington Chrysler introduce you to a variety of Dodge Grand Caravan options that suit you best. Whether that means test driving the range of models or if you already know which features you'll require, there's a lot to appreciate when it comes to this minivan model. Do more and get farther without complications by choosing the Dodge Grand Caravan for sale at Leamington Chrysler. We're pleased to note that you'll have all you need to stay on the road for years to come thanks to our departments and our experienced technicians. Drive better - drive farther - drive with the confidence that comes with choosing the Grand Caravan at Leamington Chrysler! Standard safety features include 7 air bags, active front head restraints,17 4-wheel disc antilock brakes (ABS), as well as Electronic Stability Control (ESC) with Brake Assist, All-Speed Traction Control and Trailer Sway Control. We guarantee you'll love your next Grand Caravan!